When it comes to body moisturizers, body lotions is my top choice. They are refreshing, easy to apply and absorb and keep the skin discreetly scented for many hours. 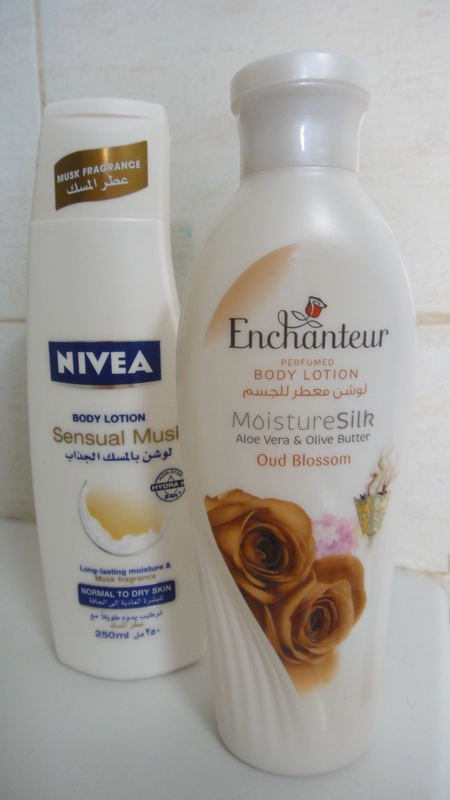 Today, I am sharing with you notes on a couple of body milks which passed the test, they are fairly inexpensive and are found in the GCC market. I never expected myself to stick to a Nivea product, but it just happened and at the moment I am on my third bottle… Nivea Sensual Musk hooked me instantly! It is a body milk for dry and normal skin, it has a light oriental-musky scent which stays on for hours and hours and costs Dhs13.95 or KWD 1.200 for 250ml of product. Enchanter is a Malaysian brand, mainly known regionally for their scented talc powders. Oud Blosson is standing out for me, out of all the -mostly light flowery, overworn- perfumed range. It is body lotion for oily skin, it dries quickly and leaves the skin with a deep flowery-musky scent for just few hours. I cannot spot the oudh element within what I sniff, but I am totally satisfied with what I sense overall. 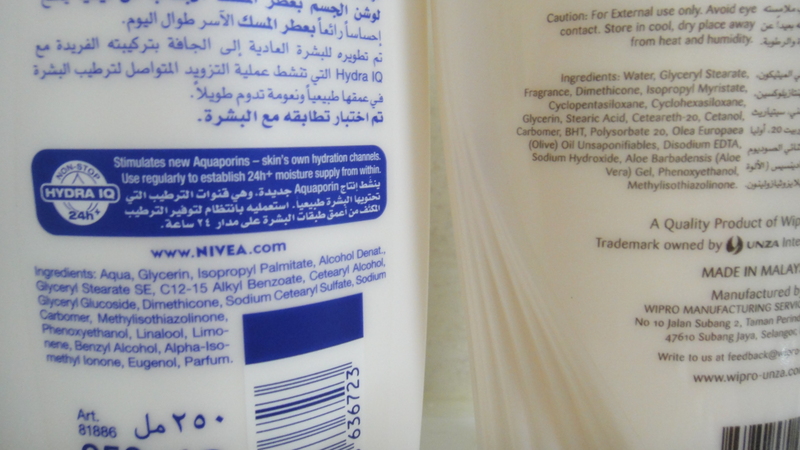 250ml packaging costs Dhs.10.25 or KWD 0.800.